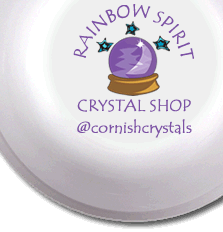 There's also help on choosing a crystal for its healing properties and some of Beth's Crystal Posters - useful reference tools for learning about crystals. We have drawn up this table to give you a quick reference to the key stones for common complaints. The crystals are in alphabetical order. It is useful if you have three to four symptoms, or features, that give a picture of the condition you are wishing to address - then you can pick a crystal that appears in all rather than one of these. Here are a few suggestions for crystals to use around home and at work. In any or every room! 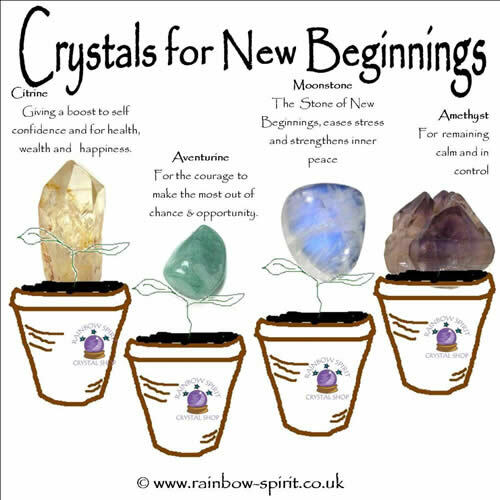 The basis of crystal healing, as we see it, is that crystals can be employed as external vitimins to work on a vibrational level in boosting and supporting our natural defence and well-being systems. We aim to guide you through the vast range of knowledge and clinical experience that we have learnt of and has been written about in the many books on the subject. There are various methods, or approaches you can take. For example, by looking at the condition from a Chakra point of view, or maybe the elements. Many people opt for selecting from the relevant Birthstones. We're continually adding to our online library of information, hoping to provide you with all the help we're able to give if you're in the shop chatting to us. When choosing a crystal to for its healing properties, we suggest that you consider the person holistically. Evaluate their condition from a mental, emotional and physical perspective. We don't aim to treat the symptoms, but see them as expressions of a central disturbance in the vitality of the person. So ask for more detail about the condition and what lies behind it. For example, depression can be as a result of guilt, grief, loss of control, lack of freedom, etc. How have they changed as a result? Has it affected their sleep, mood, appetite, temperature? What aspects are concomitant – happen at the same time and in direct relation to the ailment? What is their normal disposition? Can you perceive what aspect or chakra is out of balance? Aim to decide upon at least three clear symptoms to base your prescription upon. Think of it as a 3-legged stool, any less and you can’t rest your case on it! Once you've got a clear understanding of the person's state, and have decided upon the three key aspects that you want to match, then it is much easier to read more about each crystal without sensing that all have properties that will help! We're working to build an all singing and dancing Crystal Selector that helps you identify the most helpful crystal from three key symptoms, but for now, it's a clever little tool to help you select from our increasing large range of stock based on a limited range of their properties. As with all organic matter, there’s an energetic force at work in the structure of crystals. On an atomic level, it is seen their mineral composition, which dictates their colour, texture and shape. In healing terms, this energy can be felt by those sensitive to it as a vibration or tingle. 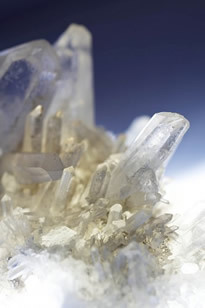 It can be stored or emitted from the crystal, in the same way that quartz crystals are used for electric impulses. Think about wood, and why it splits. The energetic force to continue growing continues after the tree has been cut down. In the same way, crystal self-heal, growing smaller terminations on the base where they were removed from the bed they formed on. Like external vitamins, each crystal, with its unique vibration, carries different qualities that we match with our needs on a like-cures-like basis. 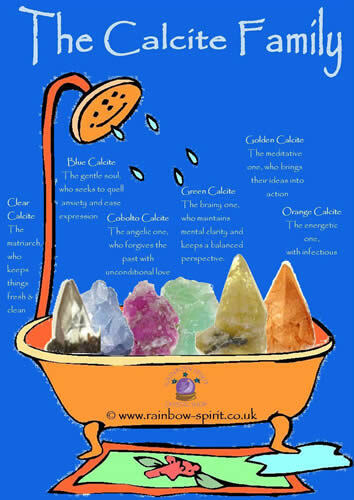 The healing properties attributed to a crystal is based on an understanding of the effect of the mineral composition on us at a micro level, as well as drawing from colour and chakra association and on decades of clinical experience. 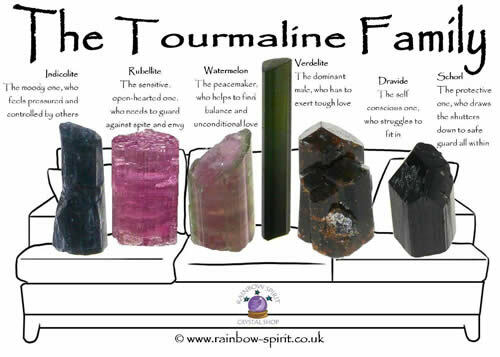 You'll find more information in the tables below and we have quick guides to Chakras, Birthstones and the Elements, or have a look below to search by crystal. To read more, have a look at Working with Crystals. 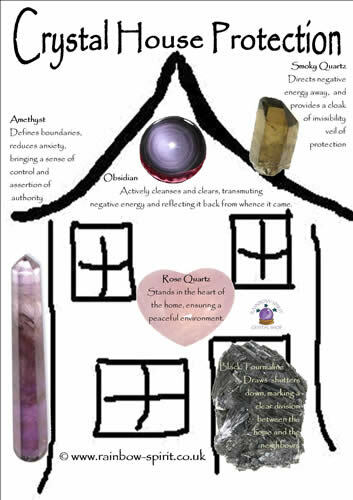 Here are some of the posters that Beth created to help explain the healing properties of crystals. They compare the similar healing properties of a groups of crystals.